Permanently engrave your message on this metal tag with an ordinary ballpoint pen. 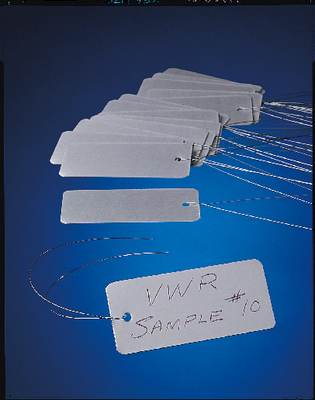 The aluminum tag features a "soft center" and will take messages on both sides. Delivery information: Package of 48 tags with wire fasteners.